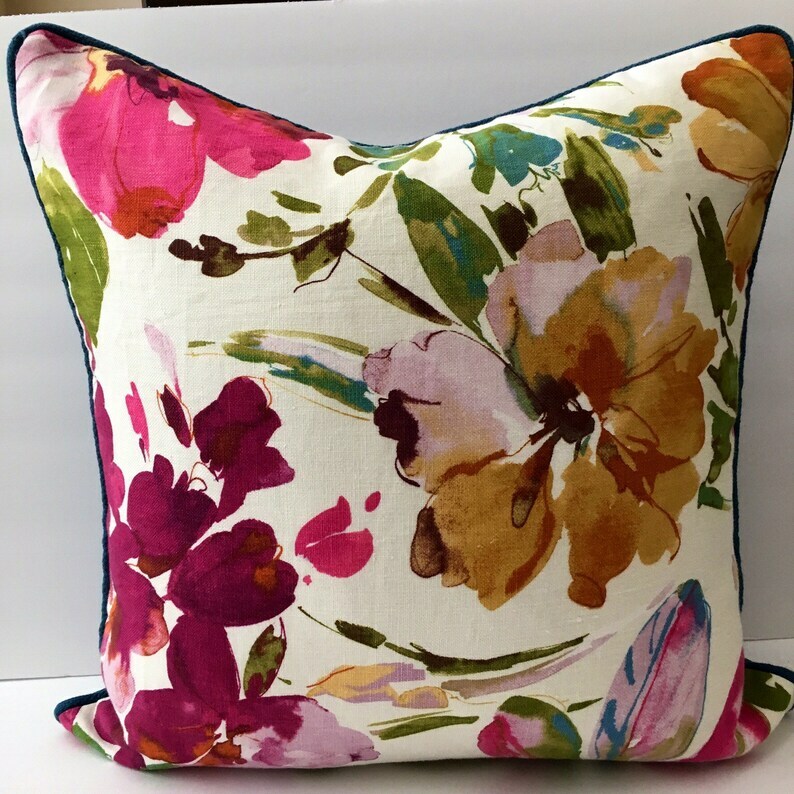 20 inch square decorator quality throw pillow hand sewn in my workroom. Professionally finished with invisible zipper. Beautiful watercolor pattern front, solid bright royal blue cording and back. Feather insert available. See separate listing. 2 available. Each is $27.00. Dry clean only —pillow cover. Get 15% off your order when you buy 2 items at this shop. Discount shown at checkout. Love my pillow, and the honest seller sent a. Few dollars bc the shipping wasn’t as high as listed. Beautiful pillow covers, very well made. Thank you.